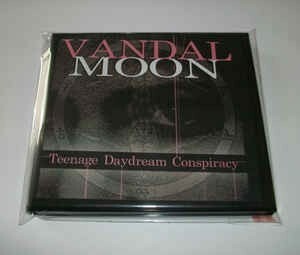 Background/Info: Vandal Moon is a California (USA) based formation, which claims to be inspired by cold-wave, dark-wave and post-punk. They define their music as ‘the sound of synthesizers, guitars, drum machines, vodka and psychedelics’. This is their debut album featuring 13 songs, which has been accomplished by the help of a few guest artists. Content: The opening song evokes 80s memories and the typical cold guitar sound of new/cold-wave music reminding me of Killing Joke. The main part of the album however sounds softer and mainly inspired by a band like The Cure. There’s this melancholia hanging over the songs while some electronic parts are getting some tracks more melodic and into wave-pop. If you have some doubt about the influence of The Cure, the song “Robert Smith (I Love You Since I Was Six)” clearly speaks for itself while the music reminds me to “Friday, I’m In Love”. + + + : Vandal Moon is a rather successful emulation of The Cure while picking up some influences from other artists like Killing Joke and Gary Numan. There’s no trace of innovation, but who cares when the songs make sense revealing a few highlights. 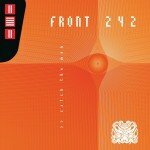 The production is well-accomplished and will appeal for lovers of 80s new-wave music and related genres. – – – : Vandal Moon could have been a cover band of The Cure and other 80s bands. You get the impression to have heard this kind of band already hundred times before. Conclusion: ‘Robert Smith, get out of that body’! That’s exactly how this album inspires me, but don’t get me wrong, even if Vandal Moon can’t compete with The Cure at any single moment, nevertheless it remains a fully enjoyable album. Best songs: “Robert Smith (I Love You Since I Was Six)”, “Can’t Feel”, “Lovely Never”, “Today You Are A Child”. Lizette Lizette releases new single 'Rest' featuring Kite frontman - and it's a damn fine one!